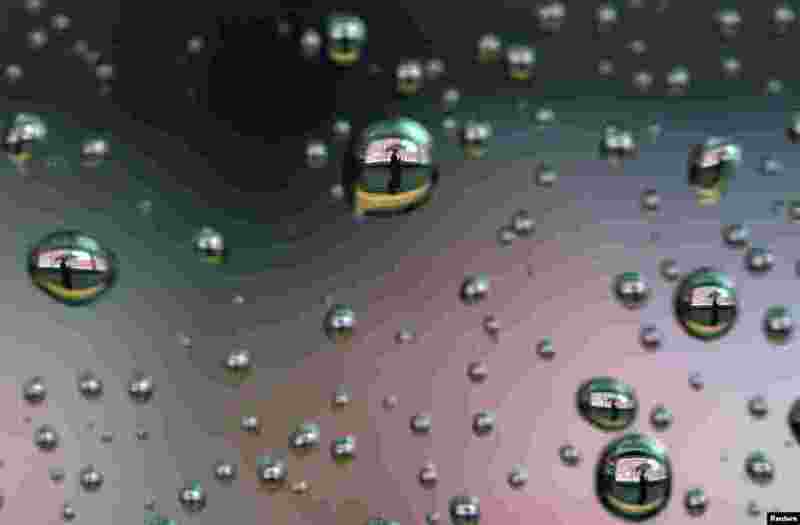 ۱ Raindrops on a car window reflect a man walking past a stock index board in Tokyo, Japan. 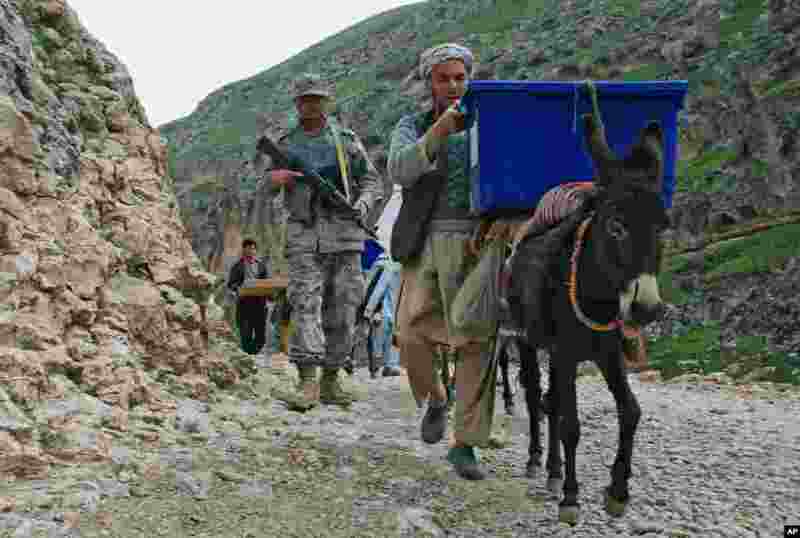 ۲ Afghan election workers use donkeys to transport ballot boxes and election materials to polling stations as he walks through Mazar-i-Sharif to Kishindih district in Balkh province, Afghanistan. Elections will take place on April 5, 2014. ۳ A sub-Saharan migrant is helped by a Spanish Guardia Civil officer after he fainted on top of a metallic fence that divides Morocco and the Spanish enclave of Melilla. Spanish and Moroccan police have thwarted a fresh attempt by dozens of African migrants to try to scale border fences to enter the Spanish enclave of Melilla. 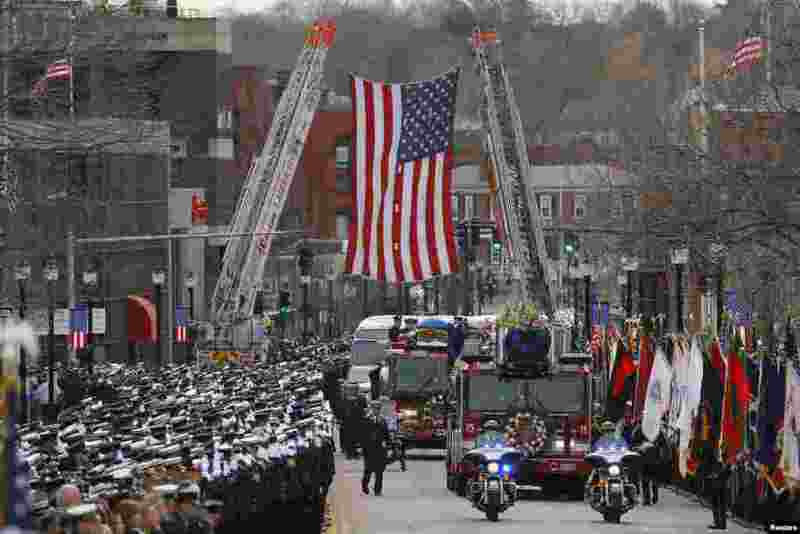 ۴ A fire engine carries the body of Boston Fire Department Lieutenant Edward Walsh to his funeral at Saint Patrick's Church in Watertown, Massachusetts, April 2, 2014. Thousands of firefighters from across the United States lined the streets for the funeral of Walsh, one of two firefighters who died battling a blaze in a Boston apartment building last week. 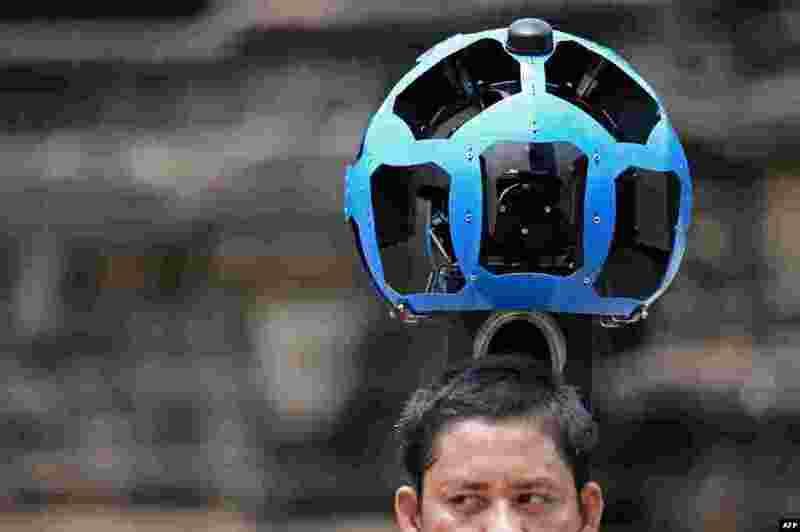 ۵ A Cambodian technician carries a back-pack mounted with a device housing 15 cameras as he demonstrates the technique used to digitally map the Angkor Wat temple in north-western Cambodia. Angkor Wat has been digitally mapped for the first time, allowing people to visit the famed temples from the comfort of their armchair using Google Street View. 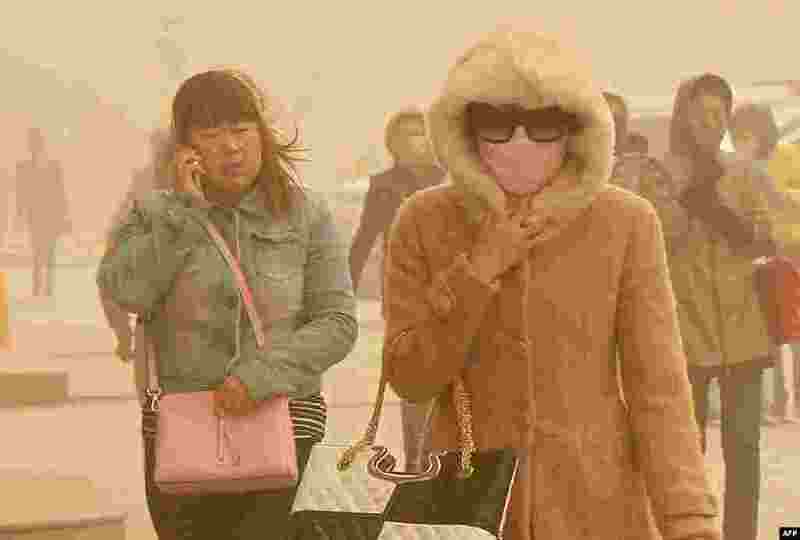 ۶ Residents walk on a street during a sandstorm in Hami, northwestern China'as Xinjiang Uyghur autonomous region. Hami issued an "orange alert" for a sandstorm, warning residents to reduce outdoor activities and avoid dangerous jobs. 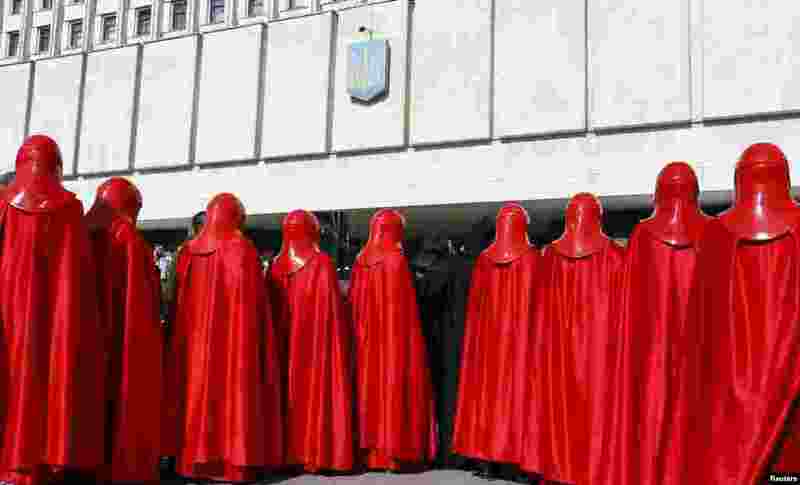 ۷ Activists from the Internet Party of Ukraine, dressed as Star Wars characters, hold a rally in front of the Ukrainian Central Elections Commission in Kyiv. 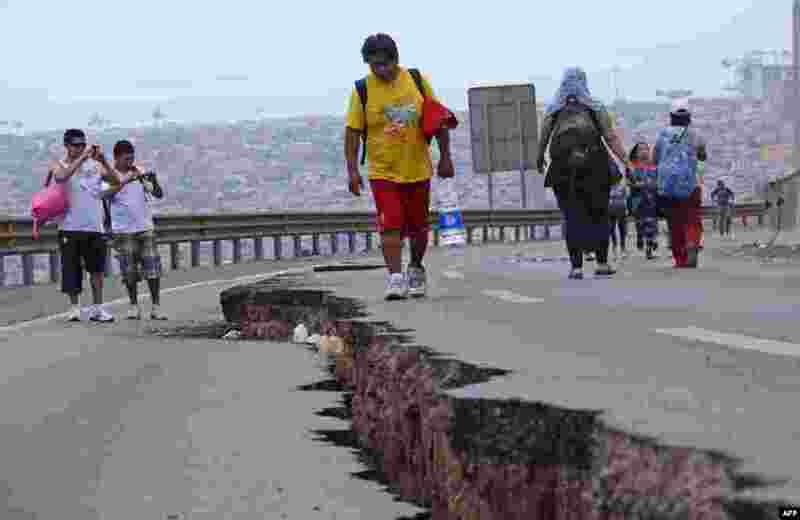 ۸ People walk along a cracked road in Iquique, northern Chile, a day after a powerful 8.2-magnitude earthquake hit off Chile's Pacific coast, April 2, 2014.